The No. 3 Youngstown State softball team opens the first round of the Horizon League Championship when it faces No. 6 Valparaiso, Wednesday, May 11, at 3:30 p.m. EDT in Chicago, Ill. The Penguins, who are 22-8 in their last 30 games, won the season series against Northern Kentucky, May 6-7, and swept Detroit, May 3-4. Youngstown State sophomore Cali Mikovich was named the Horizon League Softball Player of the Week, the league announced on Monday. This is Mikovich's second weekly award of the season and the second of her career. Mikovich batted .478 (11-for-23) with three home runs, 8 RBIs and 11 runs scored and led the Penguins to a 5-1 record on the week. She also posted a slugging percentage of .870. She had a hit in all six games, including four multi-hit games. Mikovich went 2-for-4 with a home run and two RBIs in a 10-4 win over Detroit on May 3. She went 3-fopr-5 with two home runs, three runs scored and four RBIs in the regular-season finale against NKU. Against NKU, Mikovich went 7-for-13 (.538) with two homers, six runs scored and four RBIs. Senior Miranda Castiglione and sophomore Cali Mikovich were named All-Horizon League First-Team while junior Sarah Dowd was named to the second-team. Freshman Paige Geanangel was named to the All-Freshman Team. 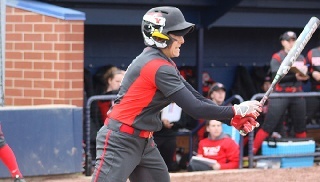 Senior Miranda Castiglione has rewritten the Youngstown State softball record book. This year, Castiglione broke the single-season runs scored and runs batted in records with 53 and 47, respectively. She also owns the school's career steals record with 66 and currently has the top career-batting average at .372. Castiglione is the only player in school history with 200 hits, 100 runs scored, 100 RBIs, 25 homes and 50 stolen bases. Junior Sarah Dowd is tied for second on the team with 11 home runs this season and now ranks second on the Youngstown State career home run list with 29. She needs one more to become just the second player in school history with 30 career home runs. Dowd became the first YSU player to hit at least 10 home runs in multiple seasons. She had 11 in 2015. Of the Penguins 49 home runs, six have been grand slams. Cali Mikovich and Sarah Dowd each have two and Maria Lacatena and Katie Smallcomb have each hit a grand slam this season. It marks the first time in school history that the Penguins have hit at least six grand slams in a season. It is also just the second time YSU has hit more than one grand slam in a season. The last time was in 2003. Freshman Paige Geanangel's 16 wins in 2016 are tied for the third-most in a single season and the second most by a YSU freshman. Her 13 victories are the most by a freshman since Kelly Murphy set the single-season record of 22 in 2003.